Isabelle Forrester stood looking down at the garden from her bedroom window, in the house on the rue de Grenelle, in the seventh arrondissement in Paris. It was the house she and Gordon had lived in for the past twenty years, and both her children had been born there. It had been built in the eighteenth century, and had tall, imposing bronze doors on the street that led to the inner courtyard. The house itself was built in a U-shape around the courtyard. The house was familiar and old and beautiful, with tall ceilings and splendid boiseries, lovely moldings, and parquet floors the color of brandy. Everything around her shone and was impeccably tended. Isabelle ran the house with artistry and precision, and a firm but gentle hand. The garden was exquisitely manicured, and the white roses she’d had planted years before were often called the most beautiful in Paris. The house was filled with the antiques she and Gordon had collected over the years, locally and on their travels. And a number of them had been her parents’. Everything in the house shone, the wood was perfectly oiled, the silver polished, the crystal sconces on the walls sparkled in the bright June sun that filtered through the curtains into her bedroom. Isabelle turned from the view of her rose garden with a small sigh. She was torn about leaving Paris that afternoon. She so seldom went anywhere anymore, the opportunities were so rare. And now that she had a chance to go, she felt guilty about it, because of Teddy. Isabelle’s daughter, Sophie, had left for Portugal with friends the day before. She was eighteen years old and going to university in the fall. It was Isabelle’s son, Theodore, who kept her at home, and had for fourteen years now. Born three months premature, he had been badly damaged at birth, and as a result, his lungs had not developed properly, which in turn had weakened his heart. He was tutored at home, and had never been to school. At fourteen, he had been bedridden for most of his life, and moved around the house in a wheelchair whenever he was too weak to do so under his own steam. When the weather was warm, Isabelle wheeled him into the garden, and depending on how he felt, he would walk a little bit, or just sit. His spirit was indomitable, and his eyes shone the moment his mother came into the room. He always had something funny to say, or something to tell her. Theirs was a bond that defied words and time and years, and the private terrors they had faced together. At times she felt as though they were two people with one soul. She willed life and strength into him, talked to him for hours, read to him, held him in her arms when he was too weak and breathless to speak, and made him laugh whenever she could. He saw life as she did. He always reminded her of a tiny fragile bird with broken wings. She and Gordon had spoken to his doctors of a heart-lung transplant, performed in the States, but their conclusion was that he was too weak to survive the surgery or perhaps even the trip. So there was no question of risking either. Theodore’s world consisted of his mother and sister and was limited by the elegant confines of the house on the rue de Grenelle. His father had always been uncomfortable in the face of his illness, and Teddy had had nurses all his life, but it was his mother who tended to him most of the time. She had long since abandoned her friends, her own pursuits, and any semblance of a life of her own. Her only forays into the world in recent years were in the evening, with Gordon, and only rarely. Her entire mission in life was keeping Teddy alive, and happy. It had taken time and attention away from his sister, Sophie, over the years, but she seemed to understand it, and Isabelle was always loving to her. It was just that Teddy had to be the priority. His life depended on it. In the past four months, ever since the early spring, Theodore had been better, which was allowing his mother this rare and much-anticipated trip to London. It had been Bill Robinson’s suggestion, a seemingly impossible one at first glance. Isabelle and Bill had met four years before at a reception given by the American ambassador to France, who was an old classmate of Gordon’s from Princeton. Bill was in politics, and was known to be one of the most powerful men in Washington, and probably the wealthiest. Gordon had told her that William Robinson had been responsible for putting the last president in the Oval Office. He had inherited a vast, almost immeasurable fortune, and had been drawn to politics and the power it afforded him since his youth. It suited him, and he in fact preferred to remain behind the scenes. He was a power broker and a king maker, but what had impressed Isabelle was how quiet and unpretentious he was, when they met. When Gordon explained Bill’s circumstances to her, it seemed hard to believe that he was either as wealthy or as powerful as he was. Bill was enormously unassuming and discreet, and she had instantly liked that about him. He was easygoing, and looked surprisingly young, and he had a quick sense of humor. She had sat next to him at dinner and enjoyed his company immensely. She was pleased and surprised when he wrote to her the following week, and then later sent her an out-of-print art book they had discussed, which she had told him she had been hunting for for ages. With far more pressing pursuits at hand, she had been amazed that he remembered, and touched that he had gone to the trouble of finding it and sending it to her. Art and rare books were his passion. They had talked endlessly about a series of paintings that had been found at the time, lost since the Nazis absconded with them during the war, which had turned up in a cave somewhere in Holland. It had led them to speak of forgeries, and art thefts, and eventually restoration, which was what she had been doing when she met Gordon. She had been an apprentice at the Louvre, and by the time she retired when Sophie was born, she had been thought to be both skillful and gifted. Bill had been fascinated by her stories, just as she was by his, and over the next months, an odd but comfortable friendship had formed between them, via telephone and letters. She had found some rare art books to send to him, and the next time he came to Paris, he called her and asked if he could take her to lunch. She hesitated and then couldn’t resist, it was one of the rare times when she left Theodore at lunchtime. Their friendship had begun nearly four years before, and Teddy was ten then. And over time, their friendship had flourished. He called from time to time, at odd hours for him, when he was working late, and it was early morning for her. She had told him that she got up at five to tend to Teddy every morning. And it was another six months before he asked her if Gordon objected to his calling her. In fact, she had never told him. Bill’s friendship had become her secret treasure, which she diligently kept to herself. “Why should he?” she asked, sounding surprised. She didn’t want to discourage his calls. She enjoyed talking to him so much, and there were so many interests they shared. In an odd way, he had become her only real contact with the outside world. Her own friends had stopped calling years before. She had become increasingly inaccessible as she spent her days and nights caring for Teddy. But she had had her own concerns about Gordon objecting to Bill’s calls. She had mentioned the first art books he sent when they arrived, and Gordon looked startled but said nothing. He evidenced no particular interest in Bill’s sending them to her, and she said nothing to him about the phone calls. They would have been harder to explain, and they were so innocent. The things they said to each other were never personal, never inappropriate, neither of them volunteered anything about their personal lives, and they rarely spoke of their spouses in the beginning. His was simply a friendly voice that arrived suddenly in the dark hours of the early morning. And as the phone didn’t ring in their bedrooms at night, Gordon never heard them. In truth, she suspected Gordon would object, if he knew, which was why she had never told him. She didn’t want to lose the gift of Bill’s calls or friendship. Bill called every few weeks at first, and then slowly the calls began to come more often. They had lunch again a year after they had met. And once, when Gordon was away, Bill took her to dinner. They dined at a quiet bistro near the house, and she was stunned to realize, when she got home, that it was after midnight. She felt like a wilted flower soaking up the sun and the rain. The things they talked about fed her soul, and his calls and rare visits sustained her. With the exception of her children, Isabelle had no one to talk to. Gordon was the head of the largest American investment bank in Paris, and had been for years. At fifty-eight, he was seventeen years older than Isabelle. They had drifted apart over the years, she was aware of it, and thought it was because of Teddy. Gordon could not tolerate the aura of constant illness that hung over the child like a sword waiting to fall. He had never allowed himself to be close to him, and they all knew it. His aversion to Teddy’s illness was so extreme, it was almost phobic. Teddy himself was acutely aware of it, and had thought his father hated him when he was younger. But as he grew older, he saw it differently. By the time he was ten, he understood that his father was frightened by his illness, panicked almost, and the only way he could escape it was to ignore him entirely, and pretend the child didn’t exist. Teddy never held it against him, and he would speak of it openly with Isabelle, with a wistful look, as though talking about a country he wished he could visit, and knew he never could. The child and his father were strangers to each other, almost as though they had never met. Gordon blocked him out, and put all his energies into his work, as he had for years, and removed himself as much as possible from life at home, particularly his wife. The only member of his family he seemed even slightly drawn to was Sophie. Her character was far more similar to his than to her mother’s. Sophie and Gordon shared many of the same points of view, and a certain coolness of outlook and style. In Gordon’s case, it was born of years of erecting walls between himself and the more emotional side of life, which he perceived as weakness in all instances, and had no appeal to him. In Sophie’s case, she simply seemed to have inherited the trait her father had created in himself. Even as a baby, she had been far less affectionate than her brother had been, and rather than turning to anyone for help, particularly Isabelle, she preferred to do everything for herself. Gordon’s coolness had translated to independence in her, and a kind of standoffish pride. Isabelle wondered sometimes if it had been her instinctive reaction to her brother needing so much of her mother’s time. In order not to feel shortchanged by what was not available to her, she had convinced herself and her own little world that she needed nothing from them. She shared almost no confidences with Isabelle, and never spoke of her feelings if she could avoid it, which most of the time she could and did. And if she confided in anyone, Isabelle knew, it was not her mother but her friends. Isabelle had always cherished the hope that once Sophie grew up, they would find some common ground and become friends. But thus far, the relationship with her only daughter had not been an easy one for her. Gordon’s coldness toward his wife, on the other hand, was far more extreme. Sophie’s seeming distance from her mother could be interpreted as an attempt to stand on her own two feet, in contrast to her brother’s constant neediness, and to be different from him. In her case, it seemed almost an attempt to prove that she did not need the time and energy her mother did not have to give, due to Teddy’s being constantly ill. In Gordon’s case, it seemed to be rooted in something far deeper, which at times seemed, or felt to Isabelle at least, like a deep resentment of her, and the cruel turn of fate that had cast a handicapped son on them, for which he appeared to blame her. Gordon had a dispassionate view of life, and generally observed life from a safe distance, as though he were willing to watch the game but not play it, unlike Teddy and Isabelle, who were passionate about everything they felt, and expressed it. The flame that she and the child shared was what had kept Teddy alive through a lifetime of illness. And her devotion to her son had long since distanced Gordon from her. Emotionally, Gordon had been removed from her for years, since shortly after Teddy’s birth. Years before she met Bill, Gordon had moved out of their bedroom. At the time, he had explained it by saying that she went to bed too late and rose too early, and it disturbed him. But she had sensed accurately that there was more to it than that. Not wanting to make things worse between them or confront him, she had never dared to challenge him about it. But she had known for a long time that Gordon’s affections for her had at first diminished, and then finally disappeared. 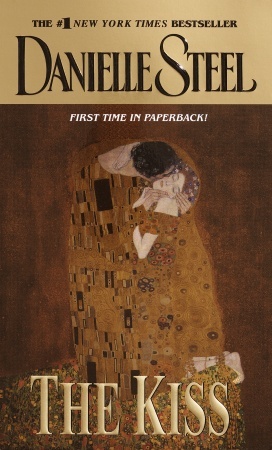 Isabelle could no longer even remember the last time they had touched or kissed, or made love. It was a fact of life she now accepted. She had long since learned to live without her husband’s love. She had often suspected that he not only associated Teddy’s illness with her, but blamed her for it, although the doctors had reassured her that his infirmities and premature birth had not been her fault. She and Gordon never actually discussed it, and there was no way to acquit herself of his silent accusations. But she always felt them, and knew they were there. It was as though just seeing Isabelle reminded Gordon of the child’s sickroom, and just as he had rejected his son from birth, out of a horror of his defects and illness, he had eventually rejected Isabelle as well. He had put up a wall between himself and his wife to shut out the images of illness he detested. He hadn’t been able to tolerate what he perceived as weakness since he was a child himself. The wall between them was one Isabelle no longer attempted to scale, although she had at first. Her attempts at drawing closer to him after Teddy’s birth had been futile, Gordon had resisted all her efforts, until finally she accepted the vast, lonely chasm between them as a way of life. 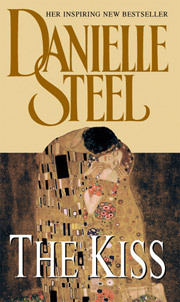 Excerpted from The Kiss by Danielle Steel Copyright © 2002 by Danielle Steel. Excerpted by permission of Dell, a division of Random House, Inc. All rights reserved. No part of this excerpt may be reproduced or reprinted without permission in writing from the publisher.